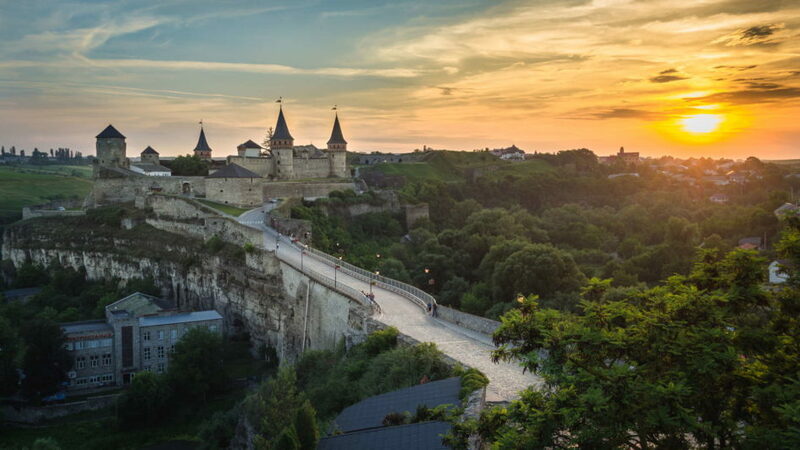 Kamianets-Podilskyi Castle is one of the Seven wonders of Ukraine and it is rightfully on the list. Immediatelly after you see the castle for the first time, you feel like you traveled few centuries back in time. The castle sits on stone peninsula surrounded by the river canyon and a lot of greenery. Castle is connected by the bridge to the old city which has same fairy-tale atmosphere like the castle itself. 1. The most convenient way to get to Kamianets-Podilskyi is by train from Kyiv. It leaves at midnight from Kyiv and at 9:00 you are in Kamianets-Podilskyi. You will pay around 250UAH for the ticket with bed reservation. There are more trains leaving from Kyiv, but timetable is not convenient at all. Timetable might change though, so you can check it and buy tickets online at official website of Ukrainian railway. The website is very user friendly and has also English version. Note that on the website, the station is spelled as “Kamyanets-Podilsky”. Also keep in mind that you can buy tickets maximum 45 days ahead of your departure. From train station it is about 4km to the old city and castle itself, so unless you fancy the walk, it is better to take marshutka (local minivan). Marshutka n.7 goes from train station to the old city and costs 5UAH. 2. 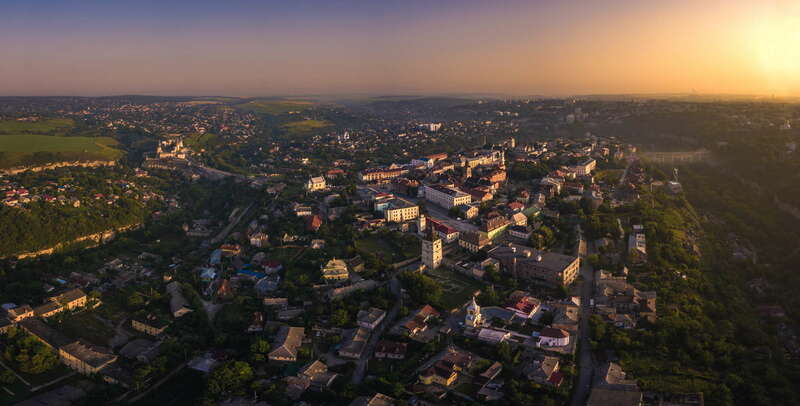 From the other cities like Lviv or Odesa you can take a train to Khmelnytsky and from there take a minibus to Kamianets-Podilskyi. The bus from Khmelnytsky to Kamianets-Podilskyi leaves every half an hour from 5:00 to 18:00. You can check the schedule online here. The price is about 90-100UAH and the journey takes almost 2 hours. From bus station to the old city it is 2.5km and you can take marshutka n.7 or n.1. Note that marshutka doesn’t leave exactly from the bus station, but you have to walk a bit to the market area here. 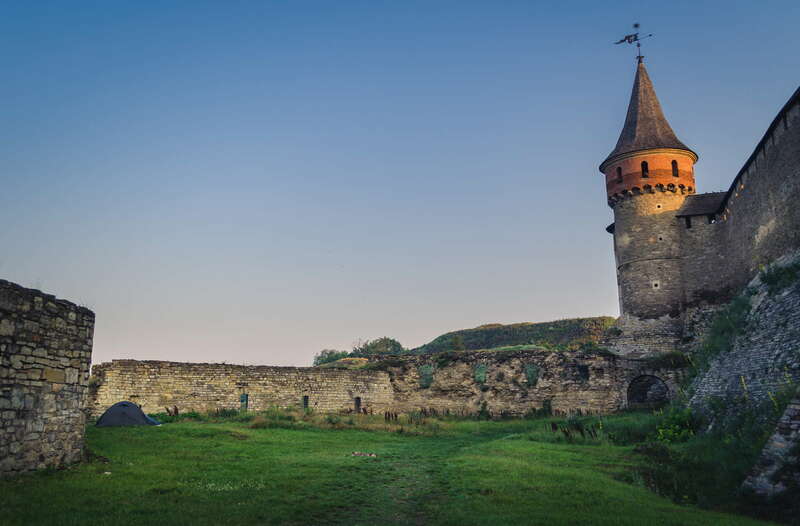 To stick to our backpacker way of travel we stayed 1 night for free in our tent just on the property of the Kamianets-Podilskyi Castle here. During the night the castle is lit with red color and it was really magical experience to camp here. We traveled during the month of June and there was no other tent around. There is also drinking water spring (here) under the bridge on the left side just before the gate to power station (электрoстанция). 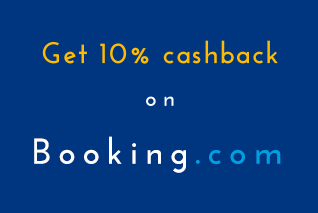 If you decide to have more comfort and stay in proper accommodation while keep the budget low, we can totally recommend to stay here. The place has very good location and amazing view on the castle, which is especially beautiful at night. Those looking for something special, check this studio. It has unique style and atmosphere and it is perfect love nest for couples. Location is in the old city and nothing is too far from here. 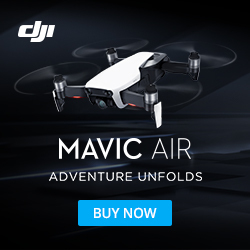 If you are looking for the whole house, this place will satisfy you fully. It has 2 bedrooms, living room, kitchen and terrace where you can have a coffee or lunch you have prepared. Location is in the old city. Entrance fee to the castle is 50UAH. The summer is the period when most of the tourist are coming. Flowers are blooming, it is warm and you can explore the surroundings of the castle. In the months of July and August prepare for crowds of tourists swarming the area. 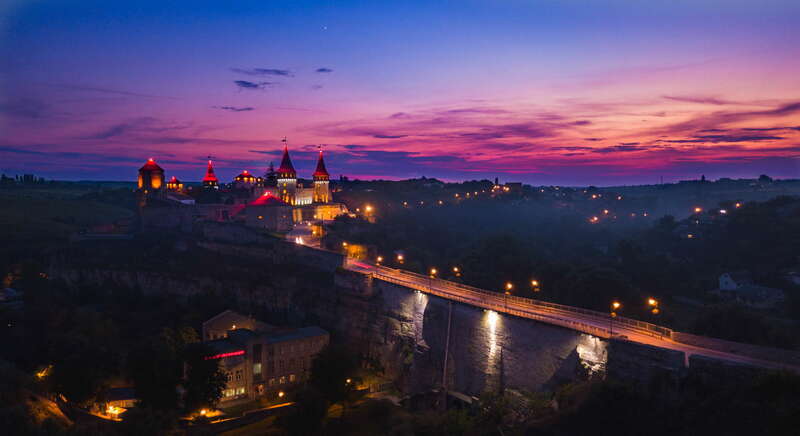 That’s why the best time to visit Kamianets-Podolski castle is before the main season in May – June or after the season in September. We have visited the place in June and there were almost no tourists around. 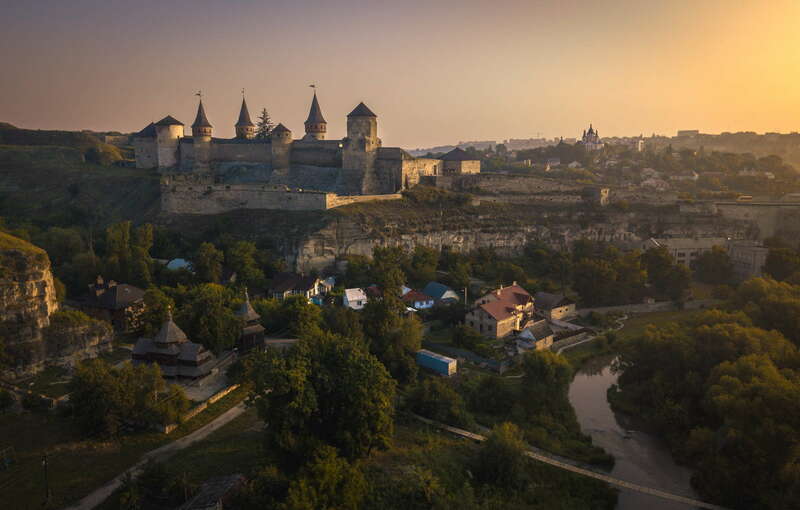 Now let us take you to this fairy tale land for 2 minutes and fly around Kamianets-Podilskyi castle in our video. 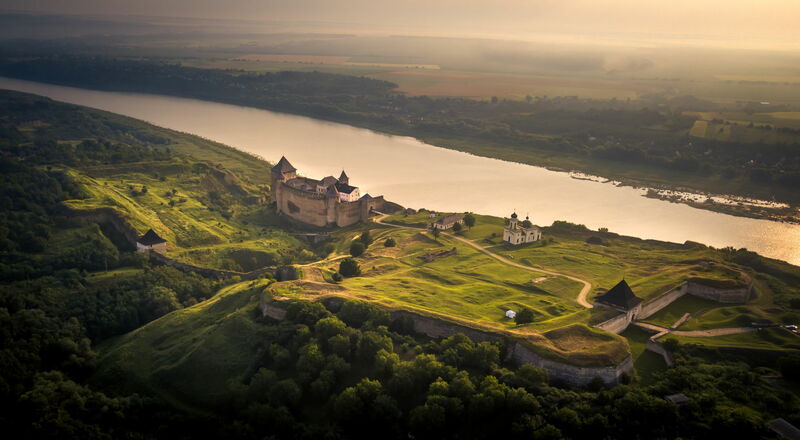 As long as you are in this part of Ukraine, we definitely recommend to visit nearby Khotyn fortress. It is also on the list of “Seven wonders of Ukraine” and it is beautifuly restored. And just 30km away from Kamianets-Podilskyi Castle. 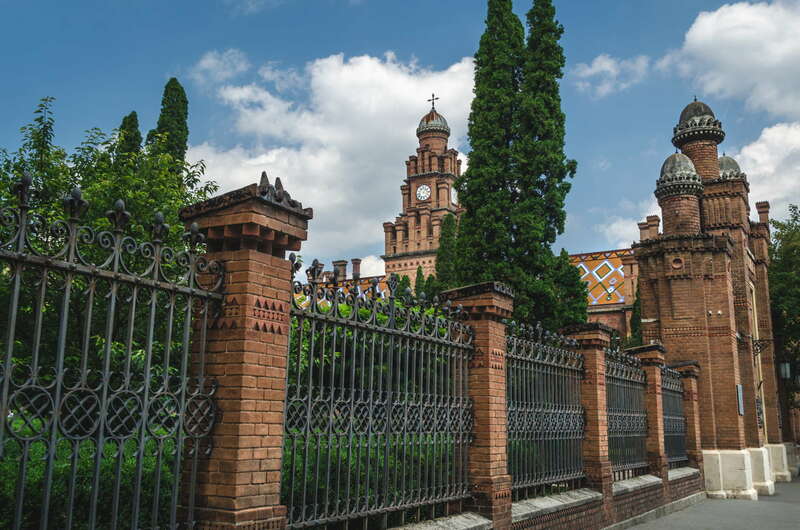 And from Khotyn you can continue to Chernivtsi city, which is famous for its university built during austrian-hungarian rule. If you are nature lover and want to do some hiking in beautiful Karpaty, check our articles about 2 of the most beautiful hikes in ukrainian carpathians. Polonina Borzava and polonina Svidovec.